This manual, for teachers or parents to teach moral values to youth of ages 8 and up, contains a set of fully prepared lesson plans, offering a way to teach the Dhamma to children. Stories from the Buddha's life are told in simple modern English familiar to todayís youth. 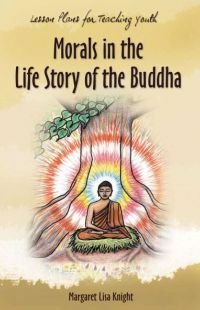 Along with each story, words of the Buddha are used to highlight the moral illustrated by the story, and a detailed Dhamma discussion. Students can easily relate to the discussions that help them see how to apply the value in their day-to-day life with its modern challenges. Essential values for developing wholesomeness are the topics of these discussions. There are also questions, games, quizzes, puzzles, and other entertaining activities to help students remember and apply the teachings. This manual offers a way to bring the Dhamma to life for young people.